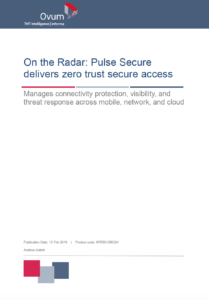 SAN JOSE, Calif., April 3, 2019 – Pulse Secure, the leading provider of software-defined Secure Access solutions, announced today that CRN®, a brand of The Channel Company, has named Pulse Secure in its annual Security 100 list. Pulse Secure has also been awarded a 5-star rating by CRN for its Connect Now Partner Program as part of CRN’s 2019 Partner Program Guide. 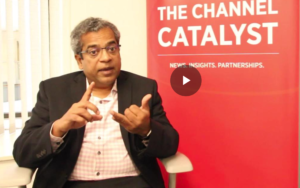 Both awards highlight Pulse Secure’s continued commitment to its channel partners and its focus on growing the channel sales opportunity. 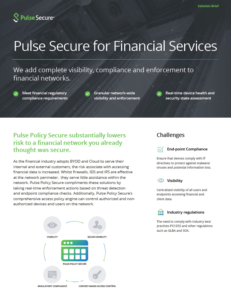 In January, Pulse Secure launched its new Access Now Partner Program, designed to offer partners the means to establish themselves as a go-to source with an industry-leading Secure Access solution set. 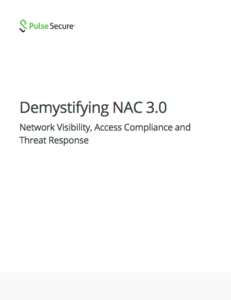 The program recognizes three tiers of partner: Authorized, Preferred and Elite. Each level represents the partner's proficiency, expertise and growth in selling Pulse Secure solutions to their customers. Other features of the new program include online and onsite certification and training, enhanced deal registration and joint marketing funds, in addition to sales promotions. 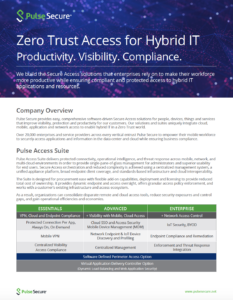 The Pulse Secure Access Suite delivers protected connectivity, operational intelligence, and threat response across mobile, network, and multi-cloud environments in order to provide easy, compliant access for end users and single-pane-of-glass management for administrators. 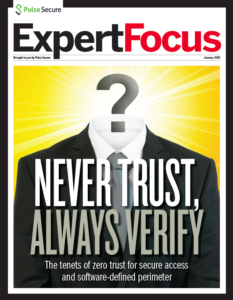 Organizations can centrally manage Zero Trust Secure Access to applications, resources and services that are delivered on-premise, in private cloud and public cloud environments. 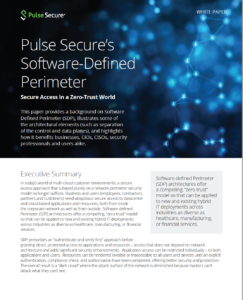 In February, Pulse Secure announced new Software Defined Perimeter (SDP) functionality that complements its integrated solution set by offering direct device-to-application/resource secure connectivity only after successful user, device and security state verification, including geo location and behavior-based anomaly detection.